As an owner/operator of a business, what do you expect from running your business? The answer is always more money. Better cash flow. More mullah. With more cash you can achieve more growth, either by expanding a current store or opening additional stores. You could expand the variety of items that you offer, leading to an increase in overall volume as well. And then there’s the ability to afford some discretionary things that you may desire and work hard to achieve, or even be able to make more charitable donations. No matter what you would do with it, the bottom line is that it only takes one thing to achieve business success, and that’s cash. This white paper series will look at ways you can optimize your operations and get more cash in your pocket — through markup, discounts, and inventory control. 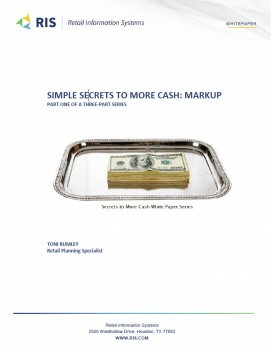 Use the form on the right to download the first white paper, Simple Secrets to More Cash: MARKUP, and we will send you the other two in the series shortly thereafter.